Australia wiped out a 24-point half-time deficit for a stunning 45-34 Rugby Championship triumph over Argentina in Salta on Saturday to ease the pressure on under-fire coach Michael Cheika. There had been growing public and media calls for Cheika to be axed after six losses in eight matches this season ahead of the trip to South America. After trailing 31-7 at half-time, the Wallabies ran in five second-half tries and the recalled Bernard Foley slotted all seven kicks at goal during the match. It was only Australia's second win of the tournament and allowed the Wallabies to finish in third place instead of last, a spot that they seemed destined for after their woeful first-half performance. With the loss, Argentina finished in last place for the sixth time in seven years since the four-country tournament was established. 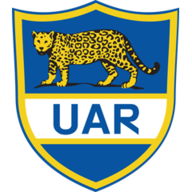 It took Argentina less than two minutes for their first try, through Pablo Matera, and by the fifth minute the Pumas had another to Emiliano Boffelli. Michael Hooper scored a converted try for Australia, but Argentina went to half-time with a 24-point lead after a brilliant solo run and try by substitute fly-half Santiago Gonzalez Iglesias. 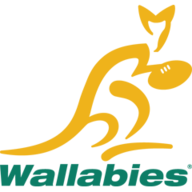 The Wallabies began their amazing comeback just three minutes into the second half with a try from Izack Rodda, followed by scores from Israel Folau and Dane Haylett-Petty. They took the lead for the first time at 35-34 when David Pocock scored with 15 minutes remaining. The Wallabies increased their lead to 42-34 with 13 minutes left on Haylett-Petty's second try of the night. Fly-half Foley converted all six Wallaby tries and kicked a penalty goal to give Australia some breathing room with six minutes left. Australia and Argentina finished with 2-4 records, but the Wallabies finished with nine competition points to the Pumas' eight thanks to a bonus point for losing by fewer than seven points to Argentina on the Gold Coast in September, 23-19.